Courtesy of Lifehacker blog. And my daughter the EE computer whiz. 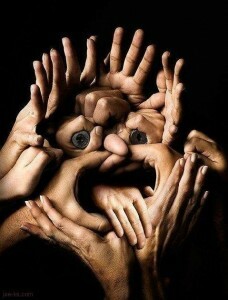 My hands hurt- must learn new keyboard shortcuts! And then I have to write the forward material. So when I spoke with my Computer Science EE graduate daughter via Skype the other day, I asked her if she could give me a cheat sheet of some of those crazy keyboard shortcut commands that I know she uses. I currently use ctrl-c to copy, ctrl-v to paste, ctrl-m to move margin, ctrl-x to cut- I use a few. So today she sent me the link to Lifehacker blog which I get in my email but look at at home. 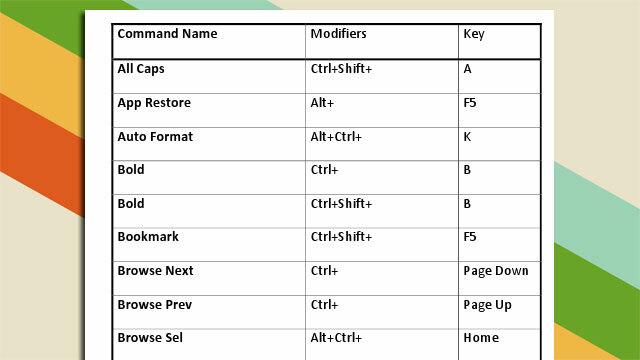 Voila- A big honkin’ printable pdf list of keyboard shortcuts for Word and one for Excel too. Thanks Lifehacker and Thanks Help Desk Geek. This entry was posted on Tuesday, August 23rd, 2011 at 11:23 pm and is filed under Break Room, Front Office. You can follow any responses to this entry through the RSS 2.0 feed. You can leave a response, or trackback from your own site. If you have the little Windows key on your keyboard, also take a look at some of the shortcuts on this list. I use the Windows+E all the time.